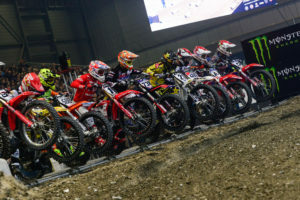 The Supercross event will follow the competition diagram which applied in the latest runs of the event: 3 independent finals in the SX1 (450cc) class and 2 finals in both the SX2 (250cc) and SX125 2-stroke classes. 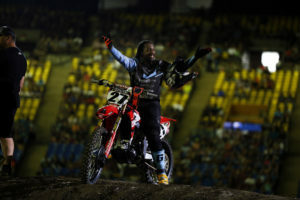 Points to be awarded will be the same in all finals, but this time the distribution will follow the system used in the AMA championships, that is, 1 point for the race winner, 2 points for second, 3 points for third and so on. Therefore, the less the points the best the place in the overall standings. 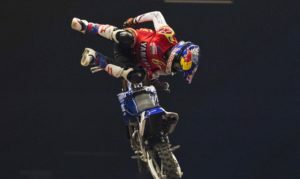 For the first time in Barcelona Supercross & Freestyle history, the eight fastest riders in qualifying practices will face in the new, thrilling and original face-to-face battles. Each battle will feature two riders who will take the start at the same time at the gate for a single lap. The fastest rider will qualify for the next round. They will be very thrilling laps, with elbow-to-elbow riding along the whole lap. Provided that top-8 riders will take part in the “Face-to-face” competition, it will feature quarterfinals, semifinals and the Big Final. The pairs in quarterfinals will be made up according to qualifying practice best laptimes: 1st vs 8th, 2nd vs 7th, 3rd vs 6th and 4th vs 5th. Should they both win all their quarterfinal and semifinal duels, 1st and 2nd best in qualifying will face each other in the Big Final.